1. I feel very hipster because my breakfast was served in jars today. 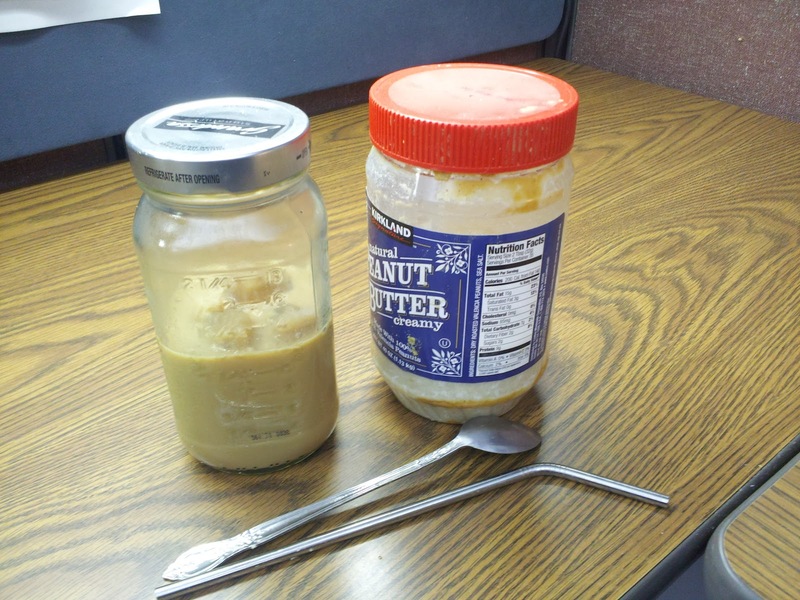 I had overnight oats in a jar and a homemade frappuccino. 2. I didn't mention it before, but Tim and I have booked a Caribbean cruise. We went on a cruise in 2008 and are going on a different itinerary, but the same cruise line. If you'd like to help me fill my blog while I'm gone, I'd love to have a few guest posts. Just e-mail me your idea! 3. I'm helping a friend find a place to live in a hurry. If you know someone who's renting out a townhouse in the Chicagoland area that's single story, please let me know. I'm so jealous of your cruise! We went on one for our honeymoon in 2007 and it was so much fun. If we ever do it again, we want to go with a group because I think that would be even more fun (plus would allow for more variety for excursions as there are things I want to do that he doesn't and vice versa). Oooh, a cruise!! So fun! Jason needs to finish school soon so we can do fun stuff like this again. Also, I'd be more than happy to do a guest post. Although, I'm not sure what you'd want me to write about. How about surviving an injury without losing your mind?